America’s first fashion magazine, Harper’s Bazaar has showcased the visions of legendary editors, photographers, and stylists and featured the works of noted writers since 1867. 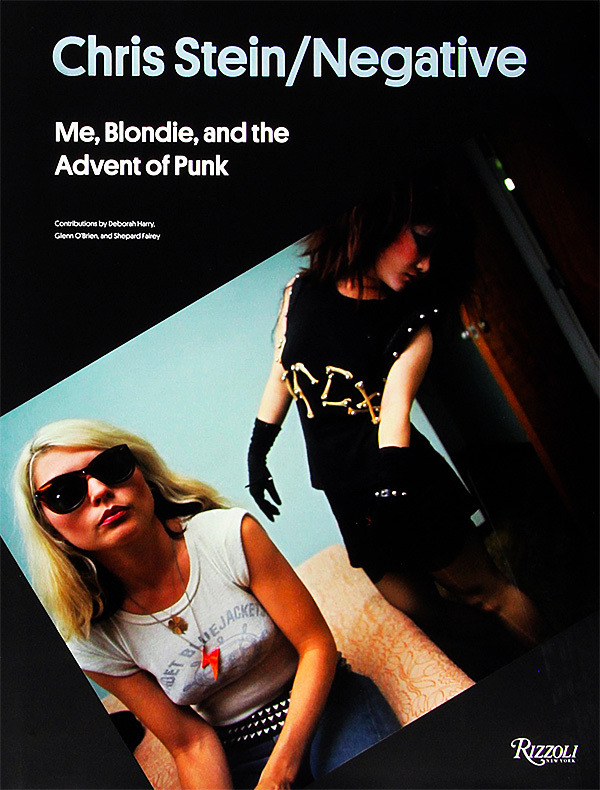 From its beginnings as a broadsheet aimed at the rising leisure class, the publication has since transformed into a magazine devoted to examining the lives of women through the lens of fashion. 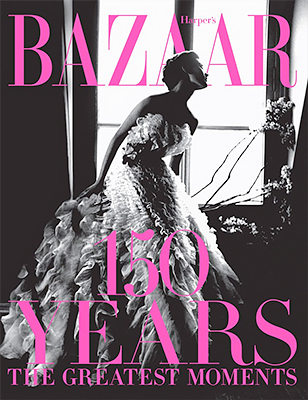 In celebration of the magazine’s 150th anniversary in 2017, Harper’s Bazaar: 150 Years captures the greats who have shaped the magazine over these decades. "Take nothing but photographs, leave nothing but footprints." This is the unspoken rule of urban explorers, who sometimes risk their safety, police records, and even their lives to explore abandoned buildings, sewers and storm drains, transit tunnels, utility tunnels, high-security areas of inhabited buildings, and even catacombs such as those in Paris, Rome, Odessa and Naples. Although these urban explorers usually work solo or in small teams, they collectively put forth a ground cry against a modern culture that embraces the new, polished, uniform, and mundane. Urban explorers find the beauty layers of graffiti by years worth of writers, multi-hued peeling paint, antique objects, someone s initials left in the dust on a broken stained glass window and physical manifestations of memory that abandoned, impermanent urban spaces can hold. 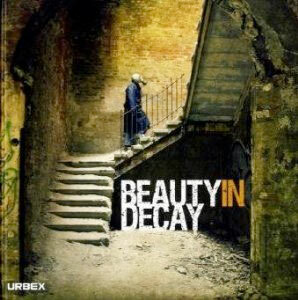 Beauty in Decay features the best in full-color, panoramic photographs from urban exploration or Urbex around the world. Overgrown industrial complexes, disused lunatic asylums, abandoned palaces and forgotten monasteries are showcased, and paired with clear-sighted, poetic text. 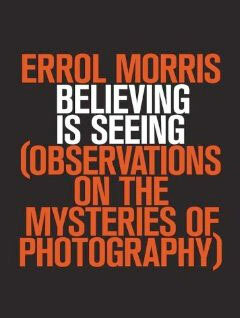 In Believing is Seeing Academy Award-winning director Errol Morris turns his eye to the nature of truth in photography. In his inimitable style, Morris untangles the mysteries behind an eclectic range of documentary photographs, from the ambrotype of three children found clasped in the hands of an unknown soldier at Gettysburg to the indelible portraits of the WPA photography project. Each essay in the book presents the reader with a conundrum and investigates the relationship between photographs and the real world they supposedly record. During the Crimean War, Roger Fenton took two nearly identical photographs of the Valley of the Shadow of Death-one of a road covered with cannonballs, the other of the same road without cannonballs. Susan Sontag later claimed that Fenton posed the first photograph, prompting Morris to return to Crimea to investigate. Can we recover the truth behind Fenton's intentions in a photograph taken 150 years ago? In the midst of the Great Depression and one of the worst droughts on record, FDR's Farm Service Administration sent several photographers, including Arthur Rothstein, Dorothea Lange, and Walker Evans, to document rural poverty. When Rothstein was discovered to have moved the cow skull in his now-iconic photograph, fiscal conservatives-furious over taxpayer money funding an artistic project-claimed the photographs were liberal propaganda. What is the difference between journalistic evidence, fine art, and staged propaganda? During the Israeli-Lebanese war in 2006, no fewer than four different photojournalists took photographs in Beirut of toys lying in the rubble of bombings, provoking accusations of posing and anti-Israeli bias at the news organizations. Why were there so many similar photographs? 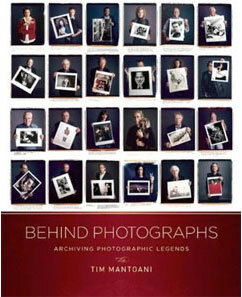 And were the accusers objecting to the photos themselves or to the conclusions readers drew from them? With his keen sense of irony, skepticism, and humor, Morris reveals in these and many other investigations how photographs can obscure as much as they reveal and how what we see is often determined by our beliefs. Part detective story, part philosophical meditation, Believing Is Seeing is a highly original exploration of photography and perception from one of America's most provocative observers. 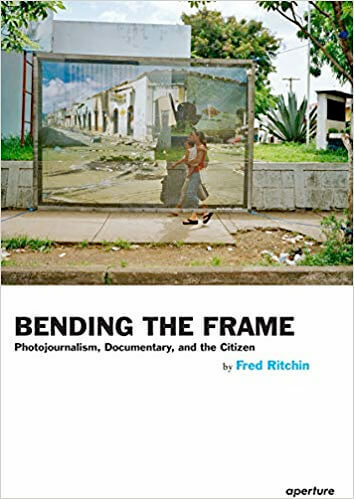 In Bending the Frame, Fred Ritchin--Professor of Photography & Imaging at New York University's Tisch School of the Arts, and author of After Photography--examines the complex relations between social justice and photojournalism in today's oversaturated political and media climates. Is visual journalism even effective at all, given the ease with which so many of us can simply record events? And how can the impact of iconic images from the Civil Rights Movement or the Vietnam War be compared to, say, the consequences of leaked images from Abu Ghraib? Do changes in strategy imply changes in accountability and responsibility for visual journalism as a whole? Ritchin intends his discussion--which ranges across new media but also includes uses of video as well as a wide range of books and exhibitions--to provide critical tools with which to approach the various efforts of today's visual (and "citizen") journalists and documentary photographers. He also examines the historical uses of photography and related media to inspire social change, the better to pose the critical question that lies at the heart of his book: How can images promote new thinking and make a difference in the world? A follow-up to the successful and acclaimed "Best Business Practices for Photographers", this updated and expanded edition serves as an even more comprehensive guide to achieving financial success and personal satisfaction in your business as a photographer. Included in this new edition are sections on licensing your work, making the career change from a staff photographer to a freelancer, surviving an IRS audit, and more. This book includes best practices in interacting with clients, negotiating contracts and licenses, and business operations. 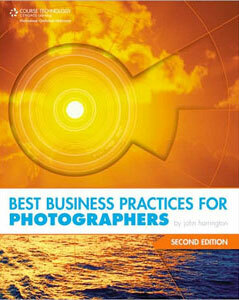 "Best Business Practices for Photographers, Second Edition" is the key to a successful career in photography. 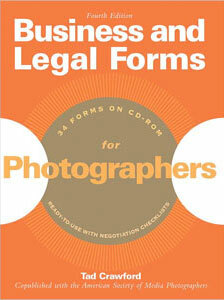 Business and Legal Forms for Photographers, 4th Edition contains 34 forms for photographers, each accompanied by step-by-step instructions, advice on standard contractual provisions, and unique negotiation checklists to guide professionals to the best deal. Included are contracts for wedding, portrait, and assignment photography; publishing, collaboration, and licensing contracts; property and model releases; assignment estimate/confirmation/invoice; delivery memo; stock photography invoice; stock agency agreement; permission form; copyright registration and transfer forms; nondisclosure agreement; license of rights; license of electronic rights; trademark application; employment application and agreement; and more. Included is a CD-ROM containing electronic versions of each form. New to this edition are forms for leases, subleases, and lease assignments, plus an update to cover changes in copyright registration.